The story goes that during the European plague outbreak, some time between 1413 and 1722, four thieves whose parents were well versed in the medicinal properties of herbs, were able to burgle homes of the dead and diseased people without being infected themselves. When caught, they offered sharing the secret to their strong immune system in return for freedom. Their secret potion was an herbal vinegar, which they drank and wiped their bodies with every two hours. By time, different recipes that were claimed to be original emerged, however, a recipe that hung in the Paris Museum in 1937 was said to be the original copy of the recipe that circulated in Marseille during the time of the plague. Today, many 'four thieves' formulas on the market often include rosemary clove, eucalyptus, cinnamon and lemon essential oils after science has proven them to be among the most powerful oils with antibacterial properties. and showed that some of them are astonishingly capable of neutralizing superbugs, such as the antibiotic resistant MRSA. In a 2016 study published in PubMed, scientists found that cinnamon bark essential oil significantly inhibited the antibiotic resistant bacteria staphylococcus aureus (MRSA). It is noted that MRSA causes more deaths than AIDS in the United States (2). Other studies have also highlighted cinnamon essential oil's antibacterial activity against human pathogens such as salmonella, E. coli, clostridium and some of the streptococcus strains. 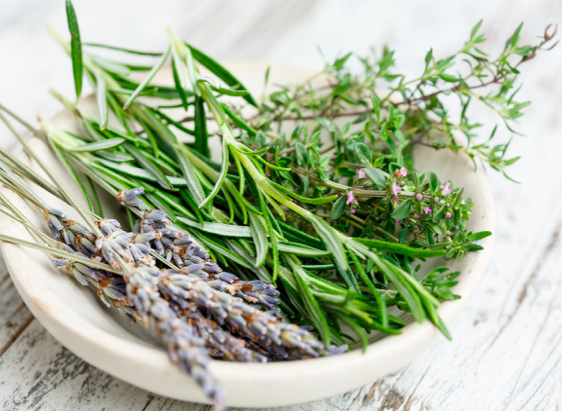 Alpha-pinene, a compound found in rosemary, was proven effective in helping treat asthma, according to a 2011 study. Besides, alpha-pinene is known to possess anti-inflammatory and anti-cancer properties. Rosemary is also known to help improve lung function and open up the respiratory airways. Eucalyptus is one of the most beneficial oils for the respiratory system. Its major component, 1,8-cineole, has antibacterial effects against mycobacterium tuberculosis and MRSA, besides its antifungal and antivirus properties. A 2015 study found that eucalyptus was shown to reduce infectious mucus secretions, such as mucus or phlegm built up in the chest, neck and throat. Studies have shown that clove oil is effective against MRSA, E. coli and candida. Besides being one of the most antioxidants rich essential oils, clove oil contains around 85% eugenol, which is used by dentists as a numbing agent. Another study showed that clove oil has the ability to slow down dental erosion and helps remineralize teeth. Lemon oil not only helps boost the immune system through its antibacterial and antiviral properties, but it also stimulates the lymphatic drainage, which helps the body get rid of toxins and waste (3). Furthermore, d-limonene, the main component of lemon essential oil, is a cholesterol-solvent, which is why it is used clinically to dissolve cholesterol-containing gallstones and clean out fat sludge in the gallbladder. D-limonene also helps prevent the build-up of fat, which results in a fatty liver and prevents insulin resistance (4). - To open up the respiratory airways add 3 drops of the four thieves oil to a teaspoon of coconut oil and rub the chest area. - Add 5 drops of the four thieves formula to 1/2 teaspoon of coconut oil and apply to bottom of feet to support the immune system. - Add a few drops of the four thieves formula in a spray bottle filled with water to make a multi-purpose spray. - Add 7 drops of the four thieves formula per load for clean fresh smelling clothes. - Add 3 drops to your essential oil diffuser to clean and freshen the air.